Because RIOT isn’t going to have a booth at PAX, I can’t guarantee I’ll have any codes to give away. Now I’m trying to find new ways to get skin codes or RP to give away, and I’ve found it with Swagbucks. 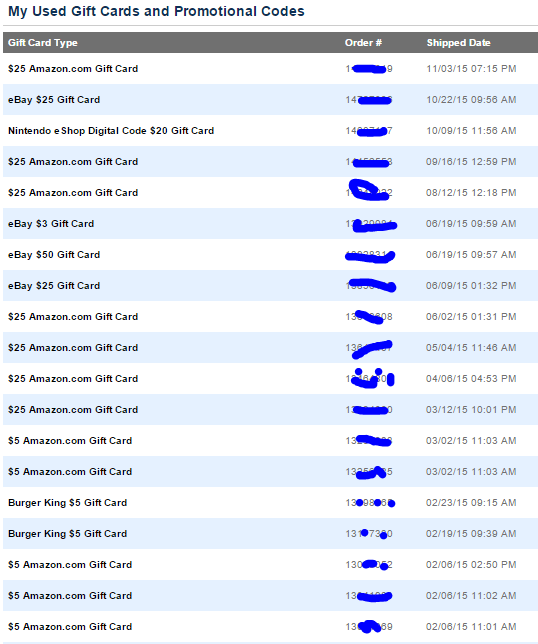 Swagbucks is a trusted rewards site, and I made about $375 in one year. While the rewards with Swagbucks will only work for some players in some countries, it’s a start! And the great thing about Swagbucks is you guys can do it too! To prove the legitimacy of Swagbucks (and because I’m awesome) I will be giving away $5 (650 RP) gift cards from Swagbucks to people who can use Openbucks. This post will teach you how you can use Swagbucks to earn your own RP. Remember, if you subscribe to my blog you will be emailed as soon as I make a post – pretty important if you’re trying to win one of my giveaways. You can join Swagbucks and earn points the same way I do! If you don’t like reward sites, that’s fine – Check back to my blog for giveaways. But if you’re interested in earning free RP, read on. With Swagbucks, you can passively earn $25 (3,450 RP) every month (or more)! I’m sorry if you don’t live here. I’ve heard of people in other countries getting around this by using a proxy, but I have no experience with this and cannot comment on it. You can Google around and try this at your own risk. Money for doing almost nothing. Swagbucks is a rewards site that gives you money in exchange for doing various tasks. Many people believe these sites are scams, and for good reason – many of them are. I don’t blame you if you are suspicious; it means you’re not stupid. Swagbucks, however, is not a scam. I have personally made over $100 in only a few months. SB isn’t a “click instantly and earn” site, meaning you’ll have to do a few things to earn your money. Such is life, right? So if you’re still in school or are dirt poor (or like me: fresh out of college with massive student debt) earning a 90% passive $25 a month is really amazing. While much of Swagbucks is not worth it ($1 for completing a 2 hour-long survey) you don’t have to do those things. Swagbucks is SUPER worth it when you use it the right way, and I’ll show you how. 2. What do I have to do to get free RP? Through Swagbucks you earn points, called Swagbucks, or SB for short. To get points passively, you can watch videos. Or, as I like to do: play videos in the background as I do something else. If you want 3,450 RP every month you only need 73 SB per day, which can be earned passively from videos playing in the background. 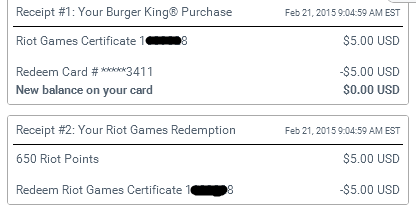 Swagbucks lets you redeem your points for gift cards, and League of Legends lets you pay for RP using gift cards. In the payments option for RP, go to the “subway Gift Cards and More” section. Pick one of these cards to redeem on swagbucks. 3. I want to join Swagbucks and earn RP! Tell me what to do! Sign up to Swagbucks: www.swagbucks.com (sign up with code RSWAGBUCKS to start with an extra 70 SB). Earn Swagbucks! Garwald from Reddit has a neat, clean, up to date guide for earning SB. View this guide here. You should have about 120 SB almost immediately. In 3 or 4 more days, you’ll have enough SB for 650 RP. 5. I want proof that this works / I’ve earned at least 500 SB and want to turn those into RP! Tell me what to do! Log into League of Legends and go to the purchase RP page. In the sidebar there will be a “Subway Gift Cards & More” payment option. Choose this and see what stores are available to you. You can pick any of these stores to get a gift card for. I use Burger King. 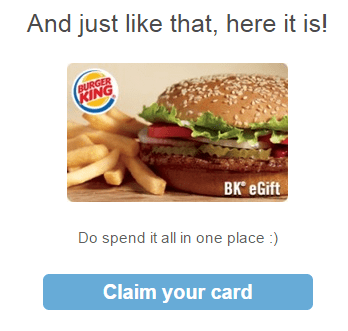 Visit the Rewards Store in your Swagbucks account and purchase your gift card (I used Burger King). In a few days your gift card will appear in your account on swagbucks, and a link to the code will be emailed to you. Check your email for a link to your code. After asking you to verify your password, you’ll get your code. Enjoy your Riot Points!! You should get your points immediately. If you don’t see them right way, try relogging. Disclaimer: My referral link is all over this page. I get a (small) bonus for referring other people to Swagbucks. If this makes you unhappy, don’t use my referral link. However, I promise to give away 100% of my referral bonuses to League of Legends players (and more to my top earning referrals)! i try to register following all the steps… but i can’t, nickname taken (all nicknames), invalid email, already used email…. i keep trying to register. You need to use your real email. If it’s invalid, you spelled your email wrong or something. If it’s already used, reset your password to that email. Sign up for Bing Rewards, you can recieve RP for free this way as well. lol I find Bing easier than swagbucks.